There’s a romance to working with beer. Seen from the outside it’s easy to imagine scenes one might file under headings like Artisanal or Fun Times. The brewer sampling his hops, picking just the right batch to add to his gleaming copper kettle. The staff pass hanging from its lanyard around your neck at a beer festival, granting access to the private lounge where the rarest beers are served. Seen from inside, working with beer is of course just that: work. Brewing is a hard, physical job. Sales is exhausting. Serving behind the bar can be great, but it can also be a thankless slog. And none of it pays that well. You don’t go into the beer trade for the money. Sure, people are making a living, but very few are getting rich along the way. And yet for all the workaday reality, some of that romance endures. People choose to enter the industry because they love beer. But some people take this even further. You’ll see them serving at beer festivals up and down the country. You’ll see them working as stewards in competitions. 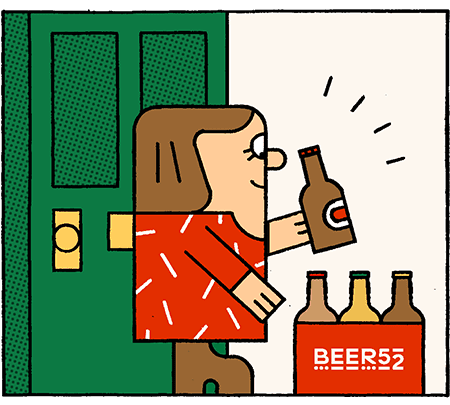 You’ll see them running campaigns supporting worthwhile beery causes – and doing it for free. They are the volunteers greasing the wheels that keep beer culture moving. The majority of people who volunteer do so at beer festivals. It’s easy to understand why: there are lots of opportunities to get involved and for most the barrier to entry is low. You don’t need to be skilled or know lots about beer. You just need to supply your time, your energy, and a sunny outlook. If you talk to festival organisers, it becomes clear that most depend on volunteers. Rosie Kerr runs ABVFest in Belfast, which has relied on volunteers since it began in 2015. “They support us in so many ways: scanning tickets, working at our bar, meeting and greeting attendees, set-up, clear-up, helping at our tasting events or at our beer token kiosk. We couldn’t run the festival without them,” she says. In return for their time, volunteers will be fed and enjoy free entry to a subsequent session of the festival. As a side-bonus, they also get a sneaky chance to scope out beers ahead of time. Free t-shirts are common, plus of course there’s discounted or free beer. But talk to volunteers and you’ll learn they’re not driven by the swag. Certainly it’s important – few would step up if nothing concrete was offered in return – but most people put a higher value on the intangible benefits of volunteering. Jen Noble felt her life in Canada was missing something. She was a keen craft beer drinker whose imagination had been caught by Boundary Brewing, to the point that she had even invested money in the venture. But somehow that wasn’t enough, so she moved to Belfast in search of a new life and something to ignite her passion. Connecting with people is a common theme. At festivals you can feel that beer is more than a drink; it’s a community built on a shared passion. It’s no wonder people want to play their part. But is enthusiasm alone enough? For some people, helping out at a couple of events each year is not enough. Their desire runs deeper. They feel the pull of beer’s current drawing them in. You may well have heard of Stu McKinlay. If not, you’ll probably recognise the name of his brewery: Yeastie Boys. With this in mind, he signed up for a stewarding role at the New Zealand Beer Awards. Stewarding is still mainly a beer serving gig, but it’s more involved than pouring tasters at festivals. Think of it as Beer Server Plus. “You definitely get the more geeky end of the beer spectrum, or those who have a strong interest in getting into the industry,” Stu explains. “It’s a much smaller pool of people required and most organisers prefer to have people with more experience and knowledge around beer.” For example, in the structured world of beer competitions, organisers rely on stewards to spot when a beer has been entered into the wrong category. While Stu worked his way up from steward to chief scorer to head steward, he also volunteered with the Brew New Zealand festival. This was the kiwi equivalent of the Great British Beer Festival, and was run by the same people as the NZ Beer Awards. Here Stu made use of his contacts to put together invitation lists of press and industry figures. When the Brewers Guild of New Zealand formed in 2006, it bought the rights to both the awards and the festival, and Stu found himself co-opted onto the executive committee. He was the only member not directly employed in the beer industry. Volunteering is hard work, but it is also fun and rewarding. 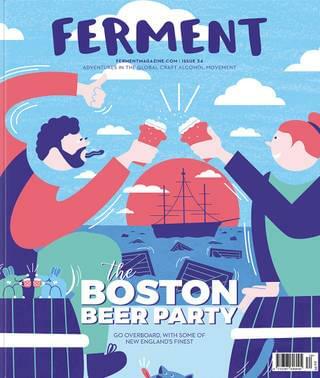 Volunteers benefit in all sorts of ways: they make friends, form a connection with a beery community, sometimes even find their way to making a living from something they enjoy. These people who step up to the mark again and again are as varied as the beer they serve us at festivals. But if there’s one thing that unites them – and us – it’s a love of the liquid that lies at the centre of it all.